ONE OF A KIND! 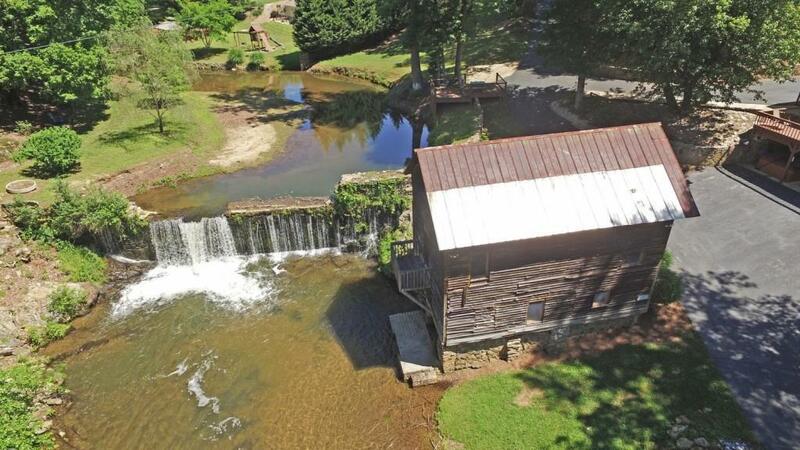 HISTORIC MILL ON A RIVER WITH AN 11 FOOT WATERFALL AT THE MERGE OF THE RIVER AND CREEK CREATING A SOOTHING SOUND THAT NEVER STOPS. THE MILL IS IDEAL FOR PARTIES. THE LODGING IS UNIQUE! 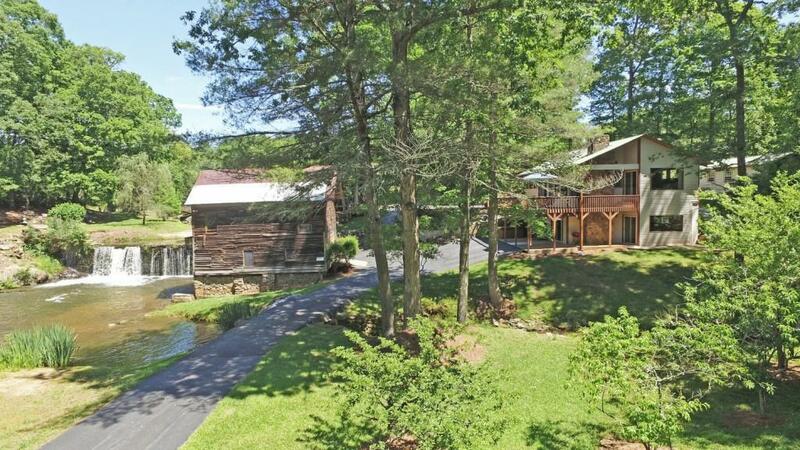 THE MAIN LEVEL HAS 2 BEDROOMS, BATH, KITCHEN AND LIVING ROOM WITH STONE FIREPLACE THAT OPENS TO A DECK OVERLOOKING THE RIVER & MILL. 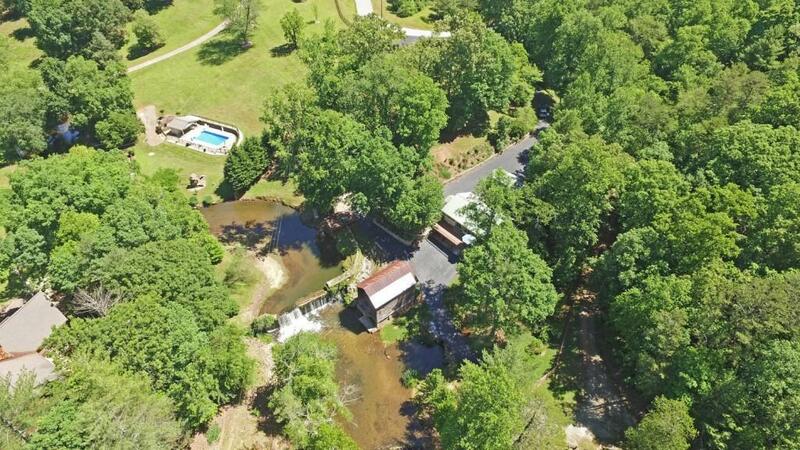 THE LOWER LEVEL IS PRIVATE WITH A BEDROOM, LIVING ROOM WITH FIREPLACE, KITCHEN, BATH, LAUNDRY, COVERED PATIO WITH HOT TUB. THE CABIN HAS A BDRM, BATH AND KIT. 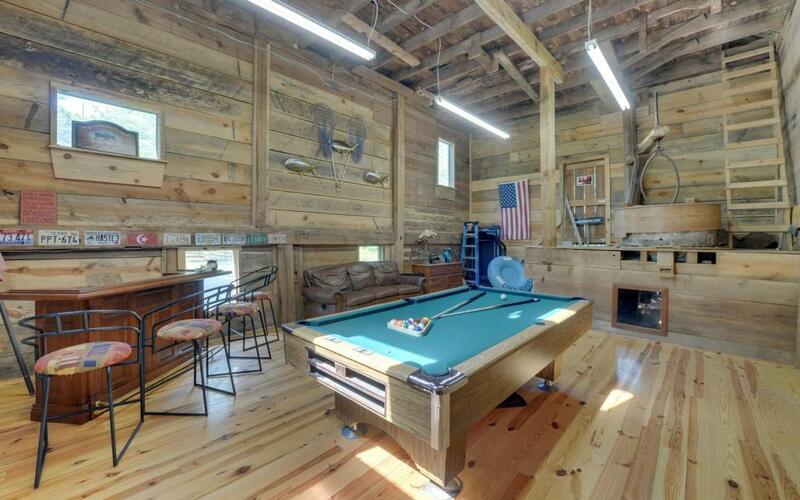 PERFECT FOR SECOND HOME, FAMILY OR CORPORATE RETREAT. SPACE TO BUILD ESTATE HOME.